New Delhi : Earlier in June, it was informed that Facebook is working on several features to help you track and manage the amount of time you spent in Facebook mobile app. And, after much delay, the new update is here. Just like the new ‘Your Activity’ feature that was introduced in Instagram last week, the ‘Your Time on Facebook’ dashboard displays a graph showing you how much time you’ve spent on the social network’s app over the past week. To get the new dashboard tap the hamburger icon on the top right corner, and scroll to the head to your Settings & Privacy section. Then, tap ‘Your time on Facebook.’ As you can see, I use the app for three minutes too many per day. In addition, you can set a reminder to alert you after you’ve crossed a daily time limit that you specify. 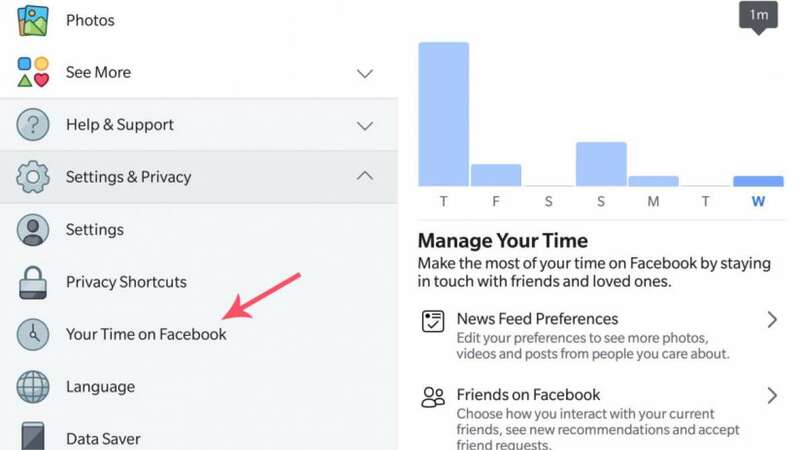 To add more, there is no breakdown of exactly where your time goes while you’re on Facebook and no way to restrict access to specific portions of the social network that you’re addicted to, like photo albums or Groups. And the ‘Friends on Facebook’ section simply brings up a list of pending friend requests and suggestions; I don’t see how that would help you manage your time spent in the app. If you are worried about the amount of time you spend on the social network, then it is high time to use the dashboard to first understand just how many minutes or hours you spend with it, and then look for a different activity to replace your cumulative Facebook breaks.